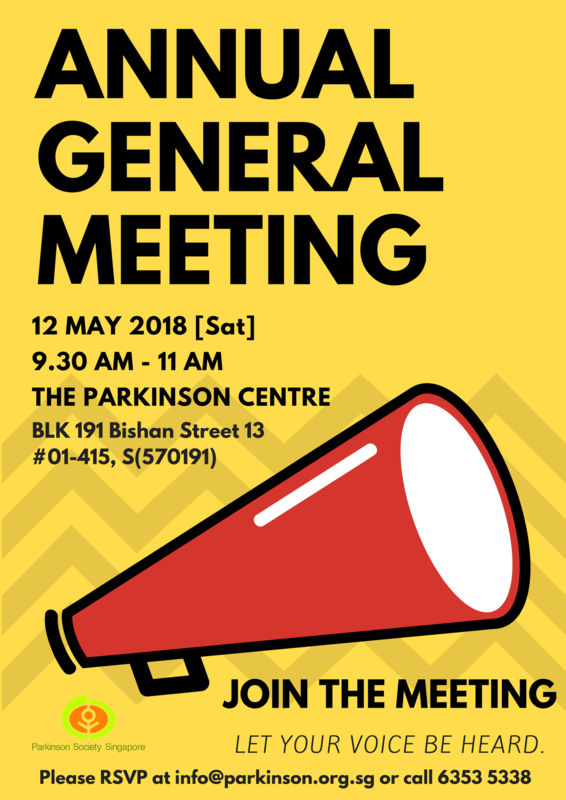 The Parkinson Society Singapore cordially invites all members of the Parkinson Society Singapore to attend the upcoming Annual General Meeting 2018. Come along and get to know the PSS Board Members and find out more about PSS. Feel free to ask them your burning questions. Refreshments will be provided after the meeting. Please RSVP by filling in the following form, or emailing info@parkinson.org.sg with your name and contact number, or calling the Parkinson Centre at 6353 5338. Are you a PSS Member?